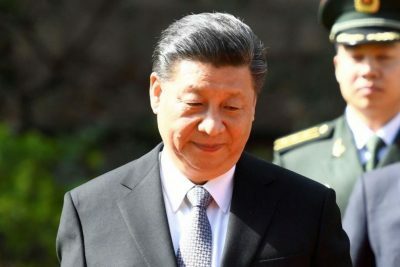 Xi Jinping‘s visit to Europe confirms what many of us have been writing about over the past few months and years, namely, the reality of an ongoing global transformation of a world dominated by the United States to a pluralistic one composed of different powers collectively shaping a multipolar world. The last obstacle remains those countries still closely linked to pro-Atlantic policies, those who find in Beijing, and above all Moscow, an excellent excuse to invite Washington’s greater intrusion into the sovereign affairs of Europe. The Baltic countries and Poland seem to offer the best inroads for US policy makers to try to influence the debate on the old continent regarding ties with the East. The artificial crises created in Ukraine, Syria and Venezuela also serve as tools to divide European leaders into opposing camps, creating the conditions to scupper European cooperation with the East. “With the 16+1 cooperation plan between Central and Eastern European nations and China, several countries signed memoranda of understanding with China to jointly build the BIS. So far, the governments of 16 Central and Eastern European countries have signed memoranda of understanding on BIS cooperation with China. Currently, 171 cooperation agreements have been reached with 123 countries and 29 international organizations under the BIS “.